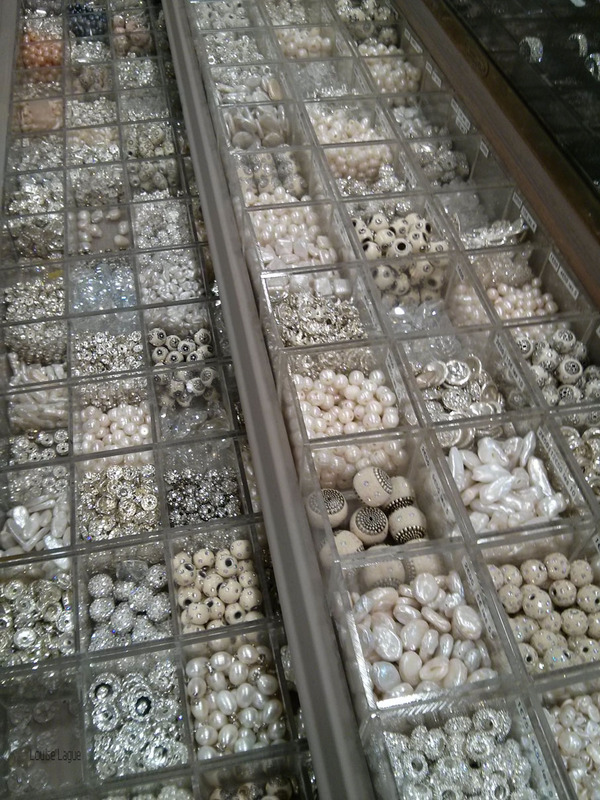 Bead stores in France do not pop up everywhere like McDonald’s; they must be hunted out. After a bit of flailing about on French craft sites, I came upon the fantastic Anna Pika beading blog. Anna had created a map and adjacent list of the good places in Paris, plus brief descriptions of each. I asked some questions on the forum, and immediately got answers from French beaders. Isn’t it wonderful how sisterly we are? Their first advice was to visit Rue du Temple in the Marais area, which is a fabulous ‘hood for both history lovers and shop lovers, of which I am both. 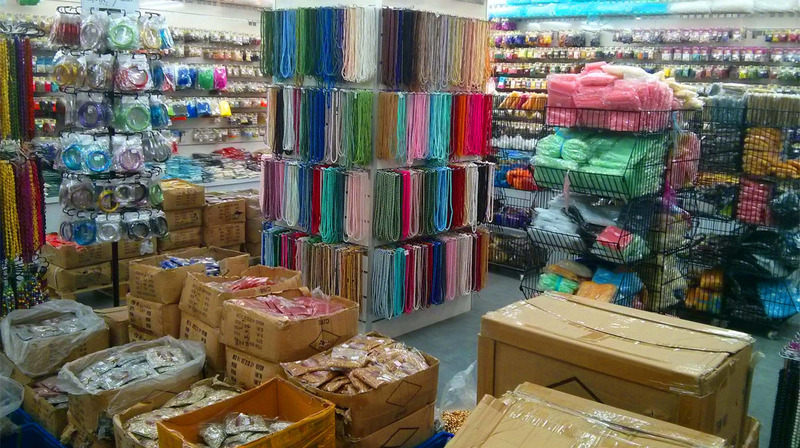 There are many wholesalers there, but also some well-priced retailers, where I picked up a load of little basics. 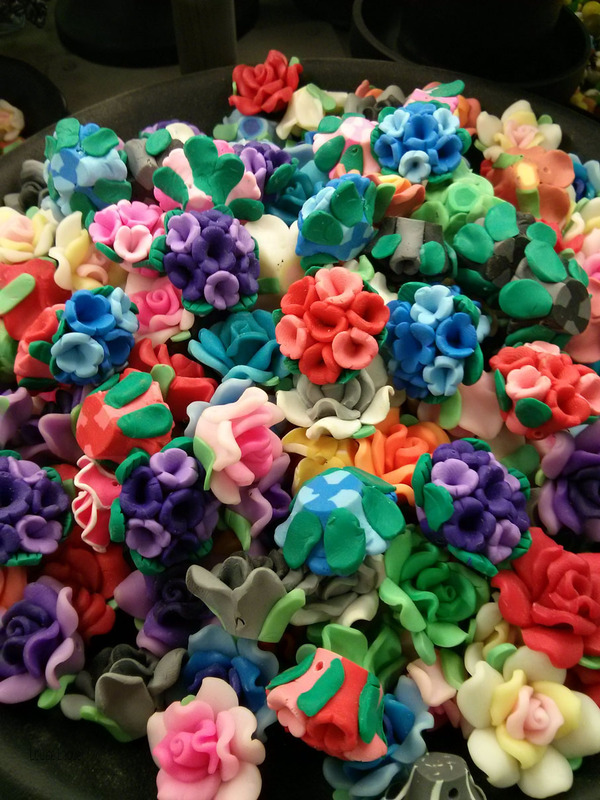 I was hunting for unusual beads that I couldn’t find at home. I found none of that. 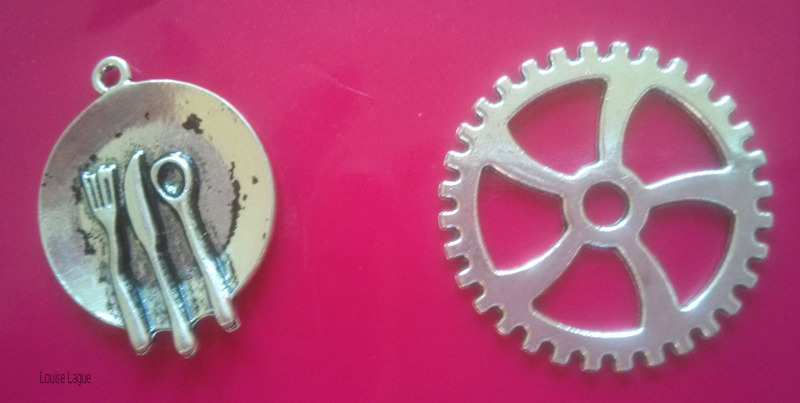 Instead, I found charms that will enchant my Portland customers: empty plates with a knife and fork for the foodies, and bicycle gears for the bikers and steampunkers. I bought some just because I loved them: anchors, the symbol of my home state Rhode Island, and beloved by boaters; fleurs-de-lis which symbolize France (also Quebec and New Orleans); and little clock faces centered with a faint Eiffel Tower. Two days later, I came across a store called La Compagnie des Perles, also in the Marais, but lushly done up with antique glass-covered display cases, plus touchable trays. This place had a LOT of beads that were new to me, including glass spheres covered in crocheted cotton, like ocean floats, and a ton of those Indian beads that seem enameled then studded with tiny mirrors. I have gotten such beads in the U.S., but the collection of off -whites was irresistible. 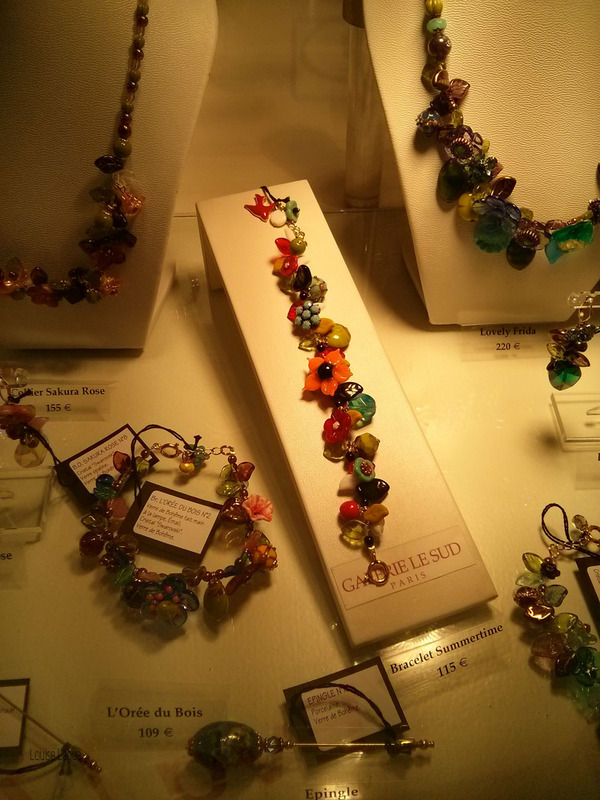 La Compagnie also had an amazing selection of Nymo beads and the most luscious flowers. After all, it’s not enough to collect beads. I’ve also got to collect things to copy! If you’re in need of inspiration in Paris, be sure to set aside some time for the Musee des Arts Decoratifs which is physically part of the Louvre, but with a separate entry and without the crowds. I spent a good long time with my jaw dropped open in the Jewel Gallery. It’s mostly metal work, but beading is represented here, as well as in the museum shop. Some pretty wild ideas are afloat in Paris. Which is why I love it so.